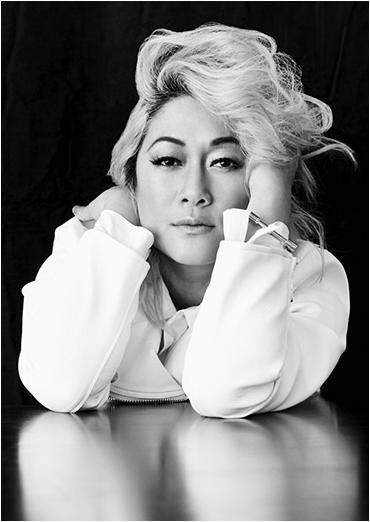 Connie Lim, known as Milck, is the singer songwriter from Los Angeles whose song Quiet became the unofficial anthem for the Women’s March. The Chicago Ambassador caught up to her Tuesday from California, where she is working on several projects for Atlantic Records, whom she signed with after her song and video of the performance went viral. We initially spoke to Milck the day after the Women’s March in Washington, D.C., when her song, performed in a flash-mob, was caught on video and spread like wildfire. [Read that inteview here] In the first couple of days after the march, the video had more than 13 million views on Facebook alone. With videos also on Youtube and other sites, it’s now estimated that more than 100 million have seen the video since January. The song was originally written by Milck in November 2016 in response to her own history of physical and sexual abuse, alongside pressures to fulfill society’s standards of beauty. She released it after the election of Donald Trump against the advice of her management, who wanted her to wait to be signed to a major label — a move that has paid off for her. She is now on Atlantic Records and will release a new version of Quiet, backed by an orchestra, at the end of the month. The idea of incorporating an orchestra came to her after hearing a version of her song done by an all-female high school orchestra. Bob Chiarito of The Chicago Ambassador talked to Milck about that, along with her work on an upcoming EP, album and tour, which will bring her to Chicago in September. CA) You signed with Atlantic Records. What’s the latest with that? MILCK) Yeah. I signed with Atlantic. I started talking to them back in January literally the same week that everything happened. We talked to each other for about a month and a half and I decided to go with them. I was talking to a bunch of labels and felt Atlantic was a good fit. We are working on a new single right now. It’s a new version of Quiet and will be released at the end of July. t’s been a long journey since I last talked to you. I wanted to create a new version of Quiet that has a lot more joy in it. I actually created four new versions of Quiet before I found it. It feels really right. We got [producer] Paul Buckmaster who’s worked with David Bowie and Elton John on board. He listened to the high school version and then we decided to go that way. CA) What high school was it? MILCK) The West Ridge School in Pasadena. They posted a video and invited me to sing with them and that’s how I met them and discovered the arrangement. CA) So they basically inspired the arrangement? MILCK) Yes. And I had done two versions with two big-name producers and both versions have great aspects to them, but something wasn’t clicking for me. When I heard the high school orchestra I said that’s where I want to go with it and started working with Nick Ruth. He heard the orchestra version and agreed with me. So, we’ve been working on it for the past month and a half and we have an orchestra from Budapest. It’s been really cool. Percussionist Matt Chamberlain who worked with Fiona Apple and Soundgarden is on the project as well. He’s really creative and quirky and added a lot of drums from all over the world. Some of those sounds are really pulling the record together. Of course, Atlantic wanted it done four months ago but Atlantic CEO Craig Kallman has been real supportive. He heard what we were working on and got totally behind it, green lighting the orchestra. CA) Are you working on other songs as well? MILCK) Yeah. I’m working on releasing an EP by September. I gave Atlantic 40 songs and we picked the top 5 and I wrote some new ones as well. I think the EP will be 5 songs, and the album will be released next year. CA) And the new version of Quiet will be on the EP? CA) Signing with Atlantic has enabled you to work on your music full-time? MILCK) Yes, definitely. It’s a whole new level. CA) Any plans to tour? MILCK) Actually I’m going to be coming your way. We have some dates on the East Coast in September and then we want to definitely come to Chicago before hitting the West Coast in October. We also want to go to Sweden because 2,500 people there did a flash mob, singing the song in Swedish.